1. What are some common causes of gas pipeline vibration 20 Carbon Steel line?
? The upper pressure range and /or the smaller pipe diameters prompts me to investigate the possibility that the gas is reaching critical flow somewhere downstream within the pipe. When a gas gets to critical flow, sonic booms (producing vibration) are expected. In fact, one of the main means by which the additional pressure in the pipe is lost.
? If the source is a compressor, look for surging.
? Look at critical flow through any control valve that may be in the line.
? Are there any vapors in the line, which can condense and produce two-phase flow? Two-phase flow can cause vibration. 2. While there, are many tests available to detect leaks on vessels, is there a technology available to quantify the leak, or measure the flow through a leak? 3. Is there any way to repair a valve that is passing leaking internally without taking our process offline? 4. When using a pumping loop to mix two miscible fluids in a tank, when can the content are considered well mixed? 5. What are some good uses of low-grade steam at 12 atm and 1920C? 1. You can generate electricity through a steam turbine-generator set. The electricity is usually put back in the line; this is the idea behind the "Co-Gen" concept used today in many USA plants. Steam turbines can effectively use saturated steam supply down to 75 - 100 psig. In special conditions, they have used down to 50 psig as a turbine steam supply. I have used steam as low as 100 psig. 2. You can pre-heat process streams that require pre-heating; this is done by applying heat exchangers. 3. You can employ the waste steam as a refrigeration source by employing it in vacuum jet ejectors and producing 50 of cooling water. 6. What is a good way to get started in doing a plant-wide steam consumption analysis? 7. Are there any general rules for flushing slurry lines? 8. How can you determine the proper pipe thickness for a slurry line? 9. What is the best way to handle bend or turns in slurry piping systems? 10. How can you prevent bridging in a dilute phase pneumatic conveying system? 11. What is some common piping materials used to transport slurries? 12. What are some common problems associated with dilute phase pneumatic conveying? 13. What are some common problems associated with dense phase pneumatic conveying? 14. What is the most common carrier gas used in pneumatic conveying? 15. What types of pneumatic conveying systems are typically used? 16. What is pneumatic conveying? 17. What is the practical particle size limit for pneumatic conveying? 18. What can cause bulk solids to stop flowing from a bin? 19. What is the most common cause of solid size segregation in bulk solid systems? 20. How can one determine the particle size distribution for a given bulk solid? 21. What is a "saltation velocity" and how is it used in designing pneumatic conveying systems? 22. What are some characteristics of bulk solids that can affect their ability to flow properly? 1) An increase in moisture content will generally make solids more "sticky". Some solids will absorb moisture from the air, which is why nitrogen is often used as a carrier gas (among other reasons). 2) For some solids, their ability to flow can be adversely impacted by temperature or even the length of time that the particles are exposed to a specific temperature. For example, soybean meal flows nicely at 90 °F but start to form large bridges at 100 °F. 3) Generally, the finer a bulk solid becomes, the more cohesive the particles. Round particles are generally easier to handle than "stringy" or oddly shaped particles. As particles rest in a bin, they can compact together from their own weight. This can create strong bonds between the particles. 4) Often times, re-initiating flow can break these bonds and the solids will flow as normal, but this can depend on the load at given locations in the bin. 23. After conducting an internet search for ways to reduce energy costs, I found a recipe for whitewashing that is said to reflect sunlight. The recipe calls for 20 pounds hydrated lime to 5 gallons water to 1-quart polyvinyl acetate. What is a good source of polyvinyl acetate that I can buy at a local store? 24. We wanted to know how to impart various colors to copper wire by simply dipping them into various chemicals, formulations, etc. This copper wire is to be used by us for our hobby of making various art objects from copper wire. 25. What is an effective means of removing silicon from aluminum? 26. What does the catalystic converter on an automobile really do?
? Nitrogen oxides (created when the heat in the engine forces nitrogen in the air to combine with oxygen). 27. What compounds are responsible for the odors that come from wastewater treatment plants? 28. 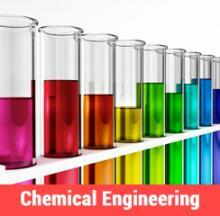 What is the average salary for chemical engineers? 29. Who built the first production scale PLA (polylactic acid) facility? 30. What is the largest application for surfactants? 31. How can you separate hydrogen peroxide into hydrogen and oxygen? 32. What is the easiest way to extract hydrogen from water and the safest way to store it? 33. What is a solvent? 34. What are the three classes of organic solvents? 35. What is happening when paint dries? 36. What is quicklime and what are the uses? 38. How can separation of chiral chemicals affect the chemical and/or pharmaceutical industries? 39. Can asphalt be recycled to form a useful product? 40. What is the easiest way to extract hydrogen from water and the safest way to store it? 41. What is a surfactant? 42. What is a good source of surfactant information on the internet? 43. What is the Wet Bulb Globe Temperature (WBGT)? 44. How can metals be removed from aqueous waste streams? 45. What are some common precipitating agents used to remove metals from aqueous waste streams? 46. What types of metals are typically removed via chemical precipitation? 47. How can hexavalent chromium be removed from aqueous waste streams? 48. How can arsenic be removed from aqueous waste streams? 49. How can I treat a waste stream containing both hexavalent chromium and arsenic? 50. How many grams per liter would there be in a 0.35 N (Normality) Citric acid solution?